Everyone dreams of an exotic island getaway but very few get the chance to do that because of limited finances. If you’re one of those people with Caribbean dreams, there is help for you. If you’re looking to take a vacation to the Caribbean and you’re working within a strict budget, you can put together a fulfilling yet affordable vacation by keeping a few important facts in mind. When visiting the Caribbean on a budget, the main considerations for travel will be airfare, accommodation and transportation. After these three, then you can focus on entertainment and activities that are affordable and enjoyable. Your biggest expense will be your airfare. Take advantage of low fares on airlines’ websites which are offered in quieter travel periods. Scour websites such as www.orbitz.com and www.expedia.com for special vacation deals which may offer packages of airfare and accommodation. Additionally, check with travel agents in your area and tour companies. Many vacation specials are also offered by individual tourism organizations who work closely with hotels and tour operators. Some of the airlines that fly to the Caribbean are Air Canada with services from Toronto and Montreal; Air France with services from France; American Airlines with services from Miami, New York, Charlotte and Dallas; British Airways with services from the United Kingdom; Delta with services from Atlanta and New York; Jet Blue with services from New York, Boston and Fort Lauderdale; Virgin Atlantic with services from the United Kingdom; and West Jet with services from Montreal and Toronto. The next expensive thing on your list will be your accommodation. The Caribbean Hotel and Tourism Association features a range of accommodation options from small boutique hotels to cozy villas and guest houses. Some of these options may offer the basic amenities, whilst those that are tailored to the bare budget traveller may not offer any at all. When choosing where to stay, you should be mindful of your travel period. Summer rates are much cheaper than less than winter rates. The summer season is generally from mid-April to mid-December and the winter season is from mid-December to mid-April. Many hotels offer different rates for these two seasons, and summer rates are usually cheaper than winter rates. The location of your hotel is also important. Many of the hotels in the Caribbean are located on coasts, very close to the beach. These hotels will generally cost more and rooms with ocean views will be priced at a premium. To keep your costs down, you should try a hotel on coasts that do not have many hotels or even hotels that are located a bit inland and away from the water. In terms of food, there are many restaurants, bars and pubs serving a wide array of Caribbean cuisine. However, it would be advisable to find a hotel or guest inn that offers complimentary breakfast or one that has rooms with kitchenettes, because this would definitely keep your food costs down. For meals during the day, you can explore local restaurants which provide a wide variety of meals from local to international cuisine. Seeing that you are travelling on a budget, you may not be renting a car. Look for hotels that are along public transportation routes or within walking distance of active town areas. The Caribbean’s public transportation system is facilitated by a mixture of government owned and privately owned buses, vans, private mini-buses, taxis and route-taxis. There are lots of money-saving activities to be enjoyed in the Caribbean. Activities that you can partake in on your own without the use of a formal guide, are generally low cost or free. For starters, you can visit the capital city. This will usually be a bustling, busy area that is constantly thriving. In the capital cities in the Caribbean, there are many stores, architectural wonders and very reasonable restaurants that you can visit. There will also be several historical sights to visit, because many of the Caribbean’s towns were major settlement areas when the English, French, Dutch and Spanish came into the region. Hiking is another economical way to explore the Caribbean on a budget. Some organisations offer free hike which take you through quiet and undeveloped areas. For example, in Barbados, The Barbados National Trust offers free hikes on Saturdays and Sundays. These hikes take hikers through undiscovered areas of the island during the day or at night. When all else fails, you can visit the beaches in the Caribbean. Although there are some private beaches in the Caribbean, there are several public beaches which you can visit at your leisure. You can rent a beach chair (or take your own) and laze on the beach. Or, depending on where you stay, you can get one free of cost from your hotel. 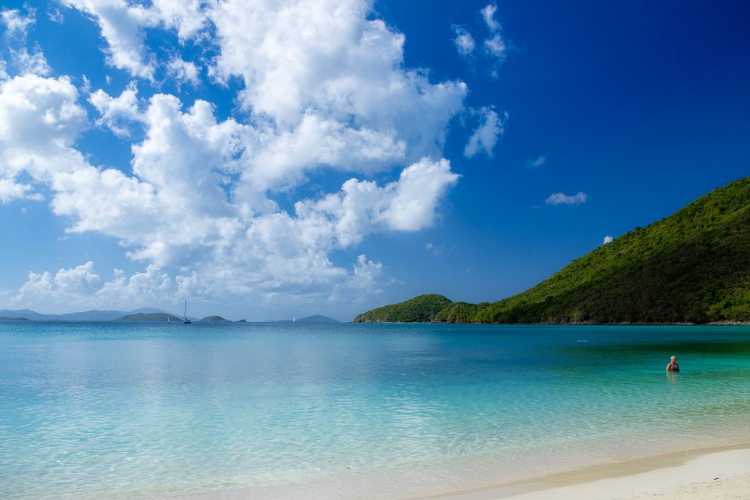 Caribbean waters, depending on where they are, are perfect for swimming, snorkeling and diving. The key to getting your dream vacation is to have a clear idea of what your financial limits are. By combining those limits with the above facts, you should be able to put together an affordable getaway that allows you to experience the best of the Caribbean.